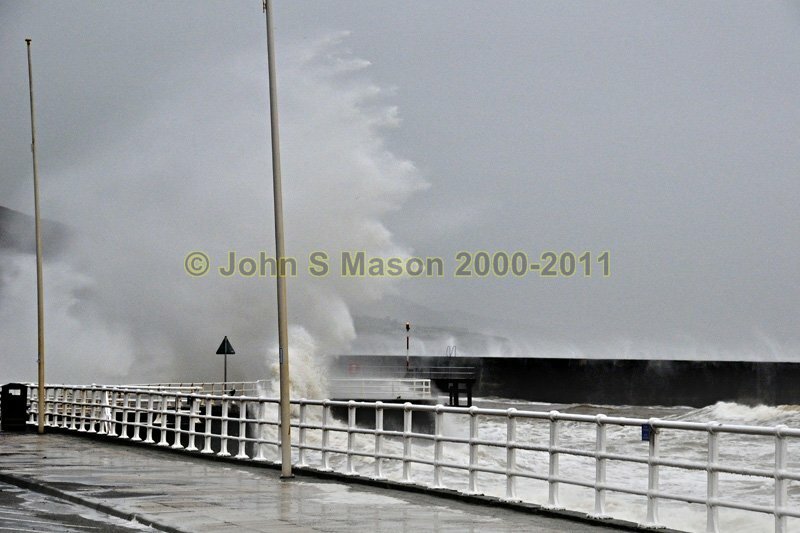 Crashing waves almost merge with the heavy falling rain - a common scene at Aberystwyth in the winter months. Product number 110940. Email me to enquire about this image: click HERE.